Libby Morag: penguin competition brief 2011. 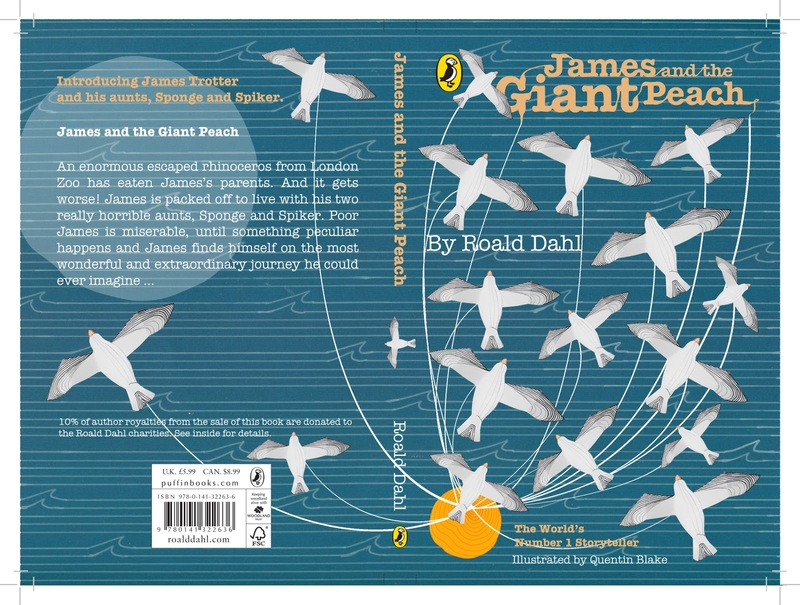 So I decided to enter my design for the 50th anniversary edition of Roald Dahl's 'James and the Giant Peach' to the penguin competition. No, I didn't win, but I definitely enjoyed designing for it. I decided to mix it up a bit by combining hand-drawn and folded elements and digital elements, and I'm actually pleased with the outcome. Book jacket design is an area which has caught my imagination since my first attempt at it during my foundation course and I think its a sad truth that sooner or later there may not be a need for it... fingers crossed it won't die out while I'm still enjoying it.